If your event (or your budget) doesn't require a custom-designed cake, one of our signature cake designs below is sure to coordinate with any style. These cakes are perfect for bridal showers, baby showers, small gatherings, birthday parties, office parties, holidays, and more. 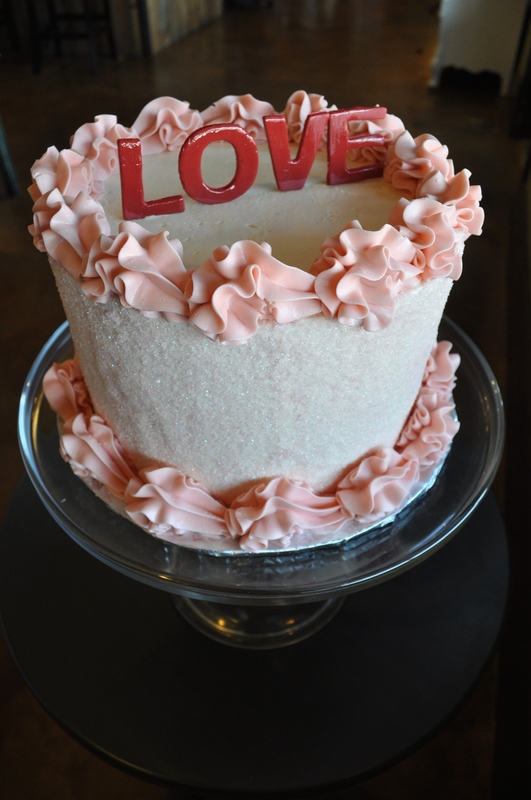 Each of our signature cakes is made fresh to order and designed in buttercream icing. 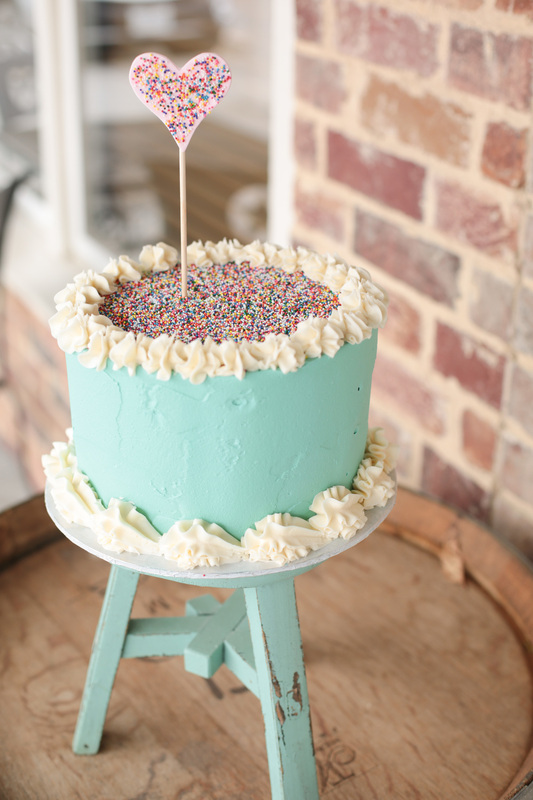 You choose your favorite cake flavor and filling, the color of the icing, and the color of the sprinkles or type of candy (if applicable). 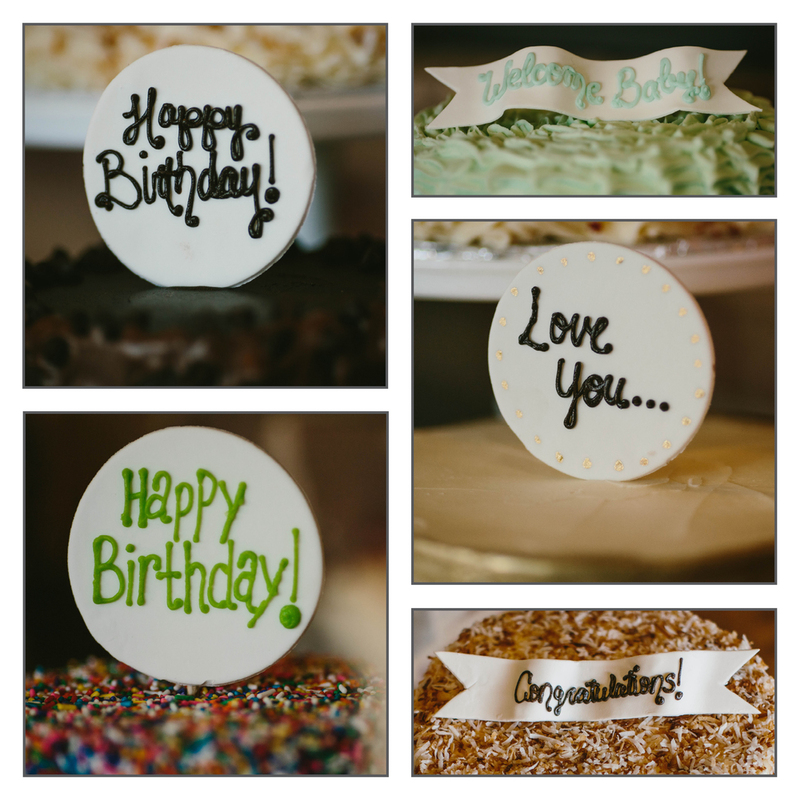 You can add a custom fondant circle topper or a custom fondant banner at no extra charge — if you would like one, just let us know what it should say. Click any photo below to enlarge it, and let us know which one you decide on for your event! This pricing is for walk-in, party cake customers. 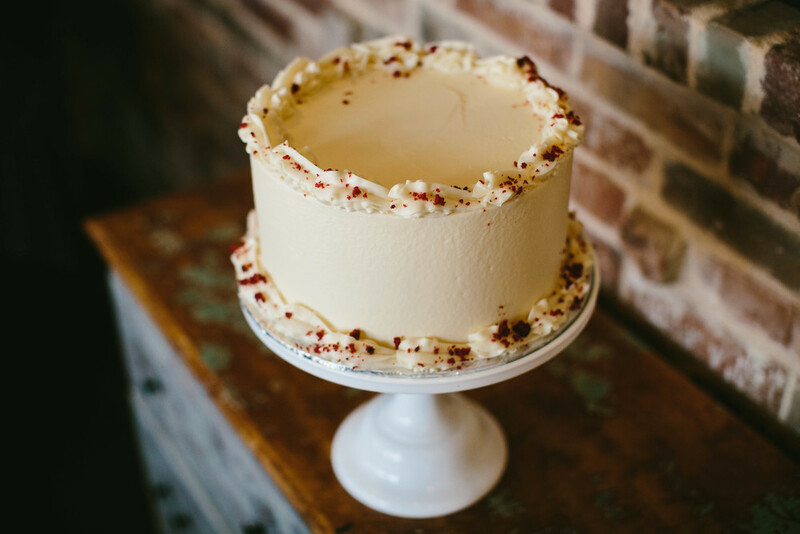 Wedding cakes that require an appointment will be quoted at our custom cake pricing. Please call the shop at 817-903-8661 or email us at hello@sugarbeesweets.com if you have any questions! For larger or tiered cakes, please contact us. 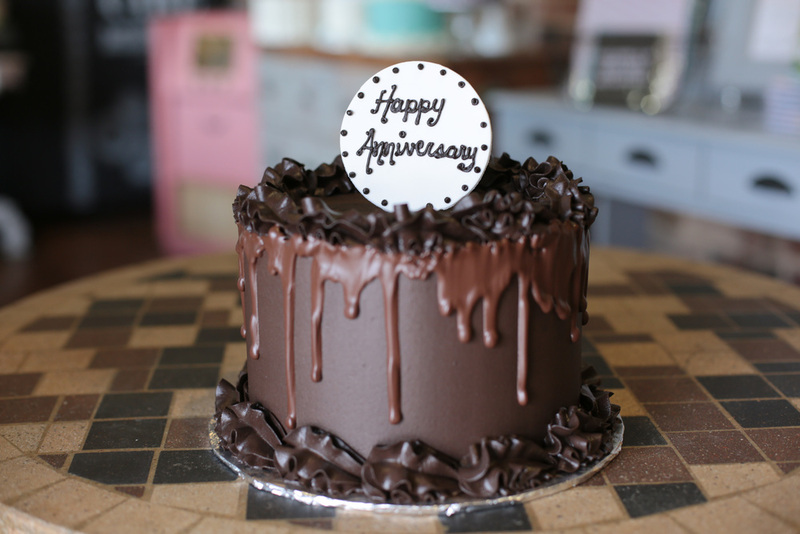 *Cakes should be ordered with at least 5 business days notice; orders are subject to our current availability.